Rumor has it that this handheld title will be all about a female assassin stabbing her way across the Bayou. According to details from the latest Game Informer Magazine posted by a helpful NeoGAFer, Assassin's Creed 3 won't be the only Assassin's Creed title to hit shelves on October 30 this year. 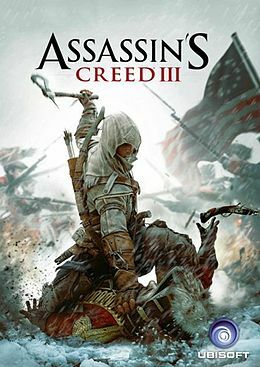 Slated for release on the same day for PS Vita is Assassin's Creed 3: Liberation, which is said to be set during roughly the same time period as its big brother. Liberation will be based on "large gameplay areas" in the city of New Orleans during the years 1765-80, with the franchise's first playable female assassin as the main character. Named Aveline, she'll reportedly bump into Assassin's Creed 3 protagonist Connor at some point during her adventures in the Bayou. Those hoping for more action from Desmond (no really, they exist) will be disappointed, however, to hear that he won't appear in this game; an as-yet-unnamed-but-not-Desmond character will instead control Aveline from an Animus. With Ubisoft Sofia as the main developers, the game apparently promises "true Assassin's Creed gameplay" and "multiplayer specifically tailored to the Vita experience." It hopes to make use of the Vita's build by involving both the front and back touch controls in pickpocket attempts. You'll ostensibly be able to assassinate your foes (including alligators that love lurking underwater) using a variety of new weapons, including a sugar-cane machete, a musket, and grenades. There are a whole host of reasons to be excited by these snippets, not least Aveline herself and the era during which she must engage in stabby-jumpy-hey-a-haybale activities. According to the posted information, she is of mixed French and African descent, a true reflection of the beautiful, multicultural mess New Orleans became during the eighteenth century. The opportunities for innovative murders and fascinating characters are endless; here's hoping Ubisoft Sofia takes advantage of them. Expect for more details on Liberation to stalk their way out of the shadows during this week's E3 conference.